Our professional design consultant will arrange a home visit to discuss ideas for your bathroom or wet room. This process includes a survey of the existing bathroom to assess product feasability, remodelling possibilities, styling and aesthetics. This enables us to provide a detailed plan and quotation to complete your project. 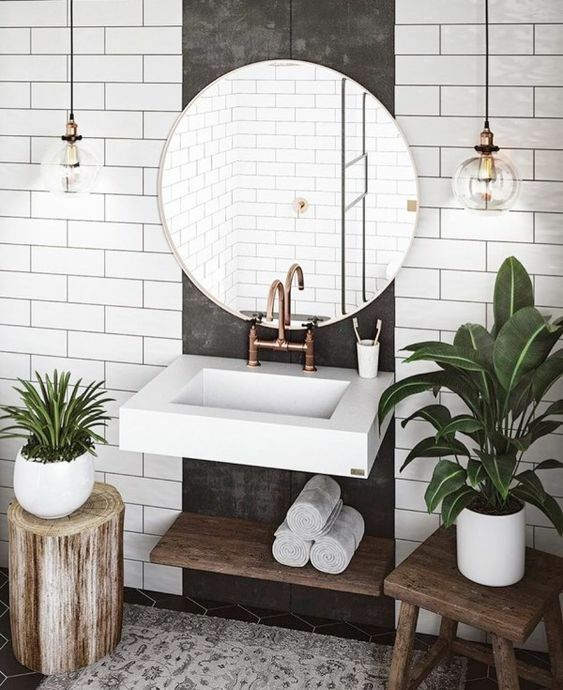 We are able to supply a full range of sanitary ware, brassware, shower enclosures, tiles, flooring and bespoke furniture. 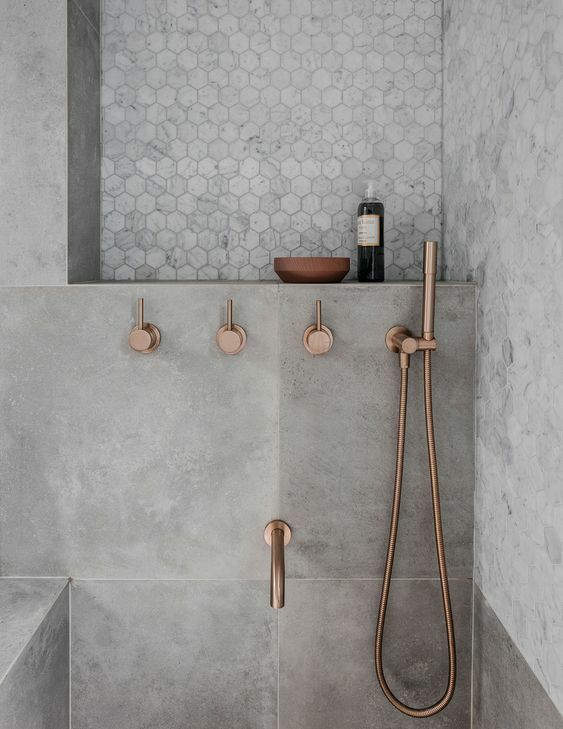 We also supply underfloor heating, lighting, backlit mirrors, towel radiators, shower seats and a full range of accessories including aids for the elderly and disabled. 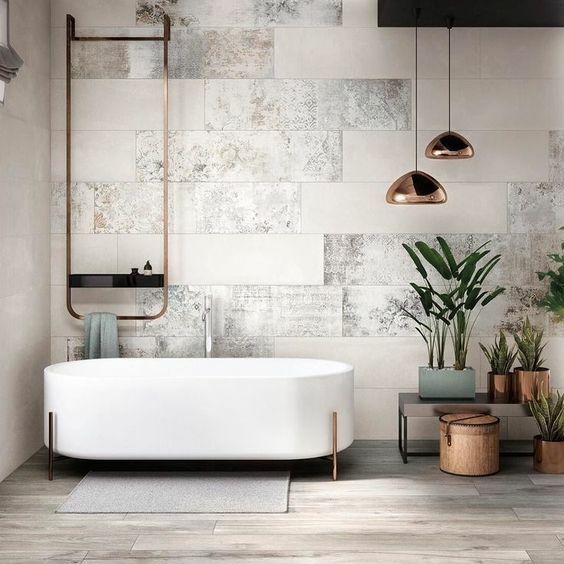 "WE HAVE BEEN DESIGNING AND INSTALLING BEAUTIFUL BATHROOMS IN THE SOUTH WEST AREA FOR 20 YEARS.OUR EXTENSIVE EXPERIENCE WILL ENSURE YOU GET THE BEST OUT OF YOUR BATHROOM IN BOTH FUNCTIONALITY AND STYLE." This spacious ground floor flat needed complete renovation throughout and we were happy to help create this beautiful grey scheme in Tasha's shower room and kitchen. This simple white bathroom is right on trend with the use of large white marble tiles. This bathroom renovation had to include plenty of storage. 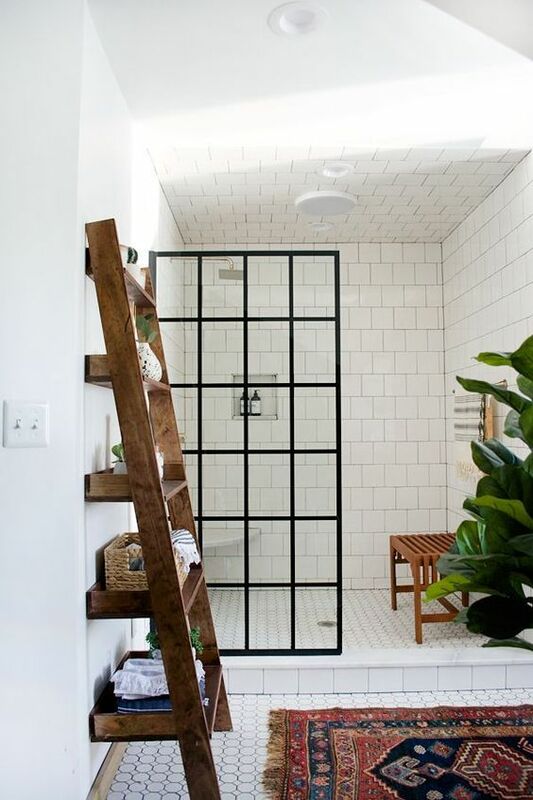 Built in units along the length of the room provide all the space needed for toiletries, while open shelves make a great space for showing off neatly folded towels. 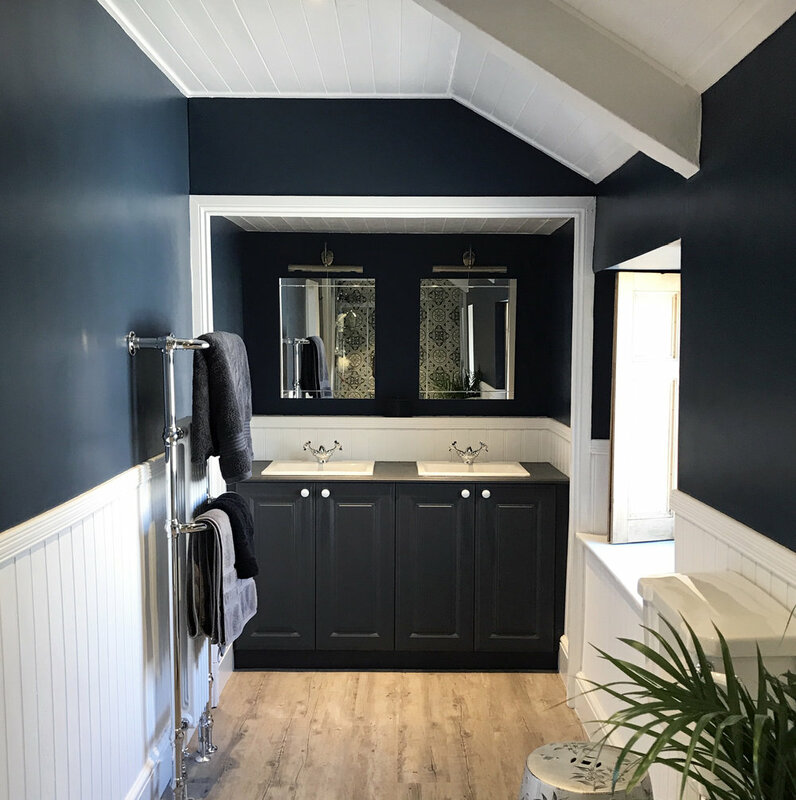 Beki had such amazing vision for this dark dramatic bathroom in her 200 year old cottage. It still has all the light you need thanks to bright white wood panelling and a lovely distressed oak vinyl floor.